"I noticed a bird ... and was simply amazed by how many babies it had with it." 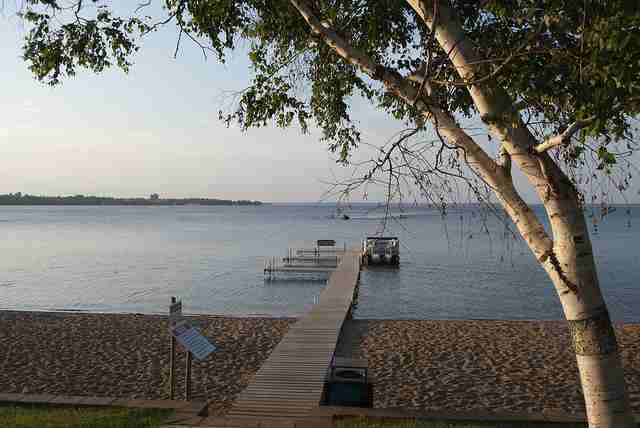 Something pretty remarkable has been underway on the tranquil waters of Lake Bemidji in northern Minnesota. That's where photographer Brent Cizek met an incredible mom. Cizek was visiting the lake last month, scouting out locations to take some wildlife photos from his small boat, when an unusual scene was presented to him in the distance. There, paddling along in the flicking waves, was an enormous feathered family — bigger than any Cizek had encountered before. "I noticed a bird with a ton of babies, so I turned my trolling motor hard right to investigate," he told The Dodo. 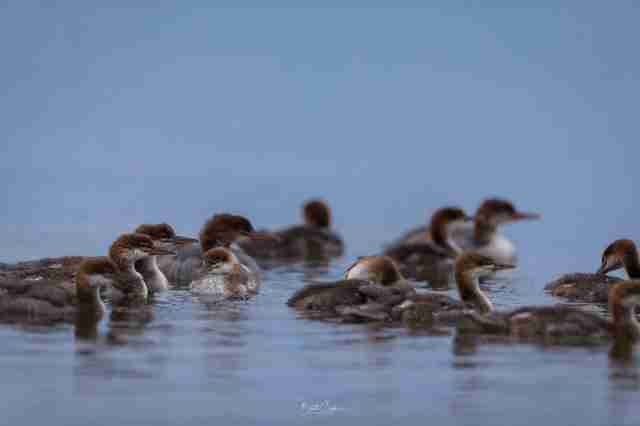 "Once I got closer, I noticed it was a merganser [a type of duck], and was simply amazed by how many babies it had with it." Cizek wasn't able to capture any photos of them at that time, fearing he'd disturb the ducks if he got too close. But a little later on, he saw them again — and his shutter began snapping. "I didn't feel like this was something I might ever experience again," Cizek said. 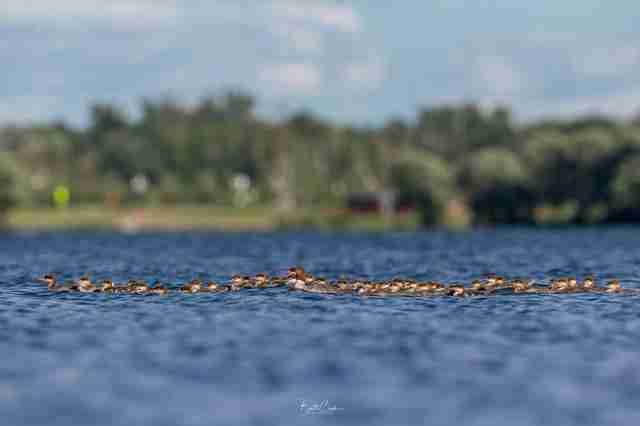 At the time, the lone mother duck had apparently taken on the role of Mom for about 50 ducklings. But she apparently wasn't done adopting yet. After that initial meeting, Cizek has been returning to Lake Bemidji to take more duck family portraits. Turns out, there have been some additions to the already massive family. 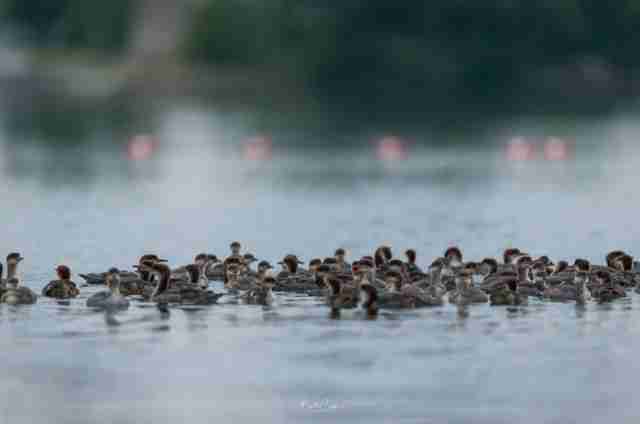 "I have been able to go out several times and find the brood and since the first encounter, she has picked up even more, and now has a total of at least 76 young ones with her," Cizek said. "She had to have picked these babies up from other moms. It's hard to say if they were orphaned, or if the babies from other broods just tagged along with this mom." In any case, this mother duck apparently has plenty of room under her wings. 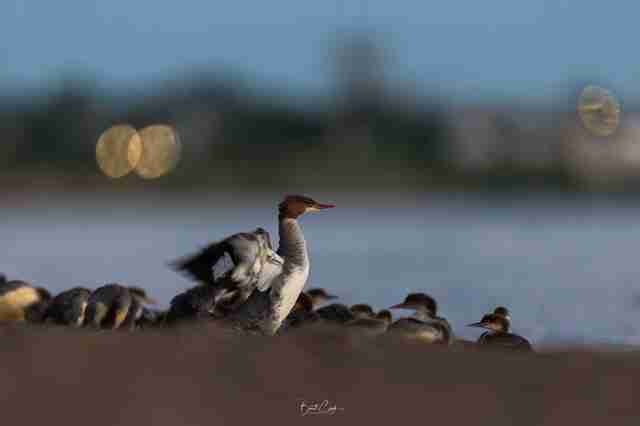 "The merganser in this picture probably picked up several dozen ducklings that got separated from their mothers. 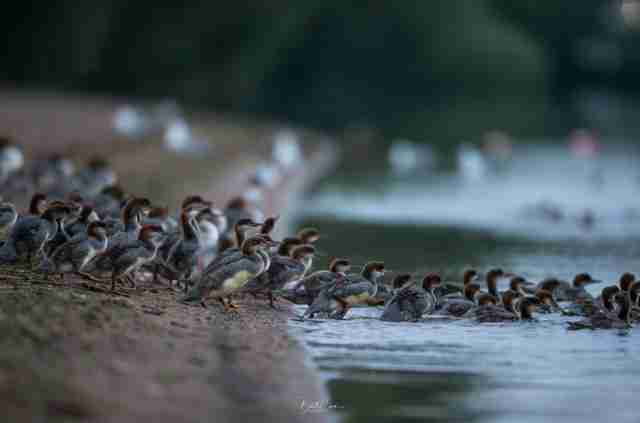 Adult ducks can’t tell which birds are theirs, and lost young birds that have already imprinted on their own mothers will instinctively start following another common merganser because she looks like mom." But the best part is, she not only looks like Mom to these adoptees. Given the duty, she's acting like one too. With any luck, all the little ducklings this supermom has taken on will grow up strong enough to strike out on their own. In the meantime, Cizek is just delighted he gets to watch and share his experience. "For the past week, I have been trying to keep track of them on a daily basis and will continue to do so," he said. "Nature is amazing and I always love learning about a new species, so even if one more person sees these photos and then learns about them, I really think that is great."